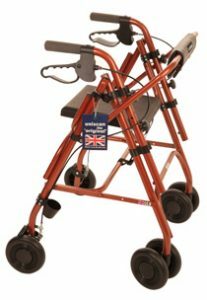 The A-Frame is a wonderful 4-Leg walker ideal for people who struggle with a 4-Leg wheeled walker, but want more than a “zimmer” type frame. 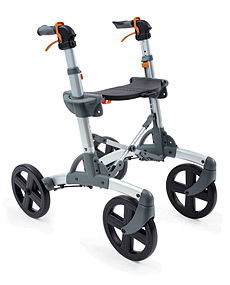 It has fixed double wheels on the front legs and rubber stoppers (like walking sticks) on the rear. 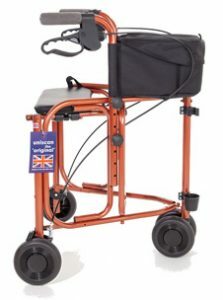 In use the back legs are lifted slightly and the walker is rolled forward on the front wheels. This ultra lightweight walker is our basic economy model. 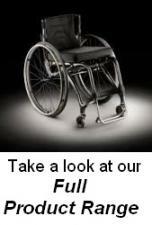 Features folding seat, adjustable handle height and folds for storage. 2” narrower than our standard models. The Freeway is the first of our standard width 4-leg walkers and weighs just 13lbs (5.8kg). 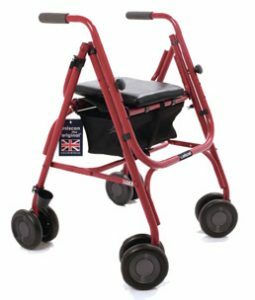 Features folding seat, underseat caddy with zipped pocket and cover, adjustable handle heights and choice of seat heights. 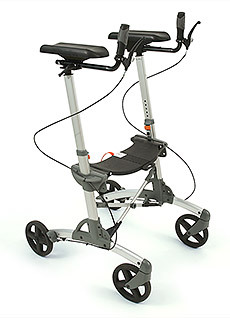 4-leg walking frame providing the ultimate in features and choice. 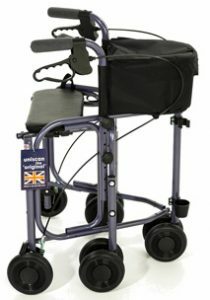 This deluxe model features a unique comfortable folding backrest for a more relaxed and secure seating position, a rest seat, under seat caddy with zipped pocket and cover, plus a full range of accessories. At 29″ (737mm) wide it also gives more hip width when seated. 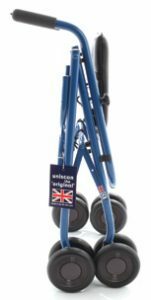 The Traveller is a unique 4-leg walker designed to fold virtually flat so that it can be safely transported when travelling. The handles are simply repositioned (by unscrewing two hand knobs), and turning them inwards (and replacing the hand knobs). 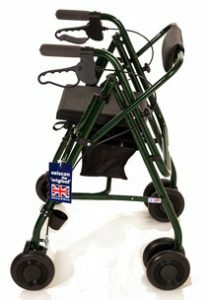 For those who like the look of a 3-Leg walker, but need extra stability we have designed the Triumph Plus. It has all the options of the Triumph, but with the benefit of two extra legs. his ultimate in 3-Leg walkers is not only lightweight, but has a built-in rest seat, plus it folds and locks together for easy storage. 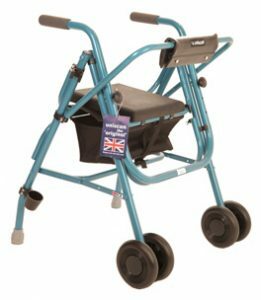 Patrol is a stable rollator with four large wheels made from soft shock absorbing material, making your walk outdoors a breeze. 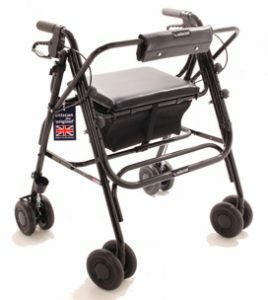 The X-type design facilitates folding and ensures that the rollator stands steadily in the folded position. The RA is constructed on the same Comfort Frame™ that is used for all Volaris models. 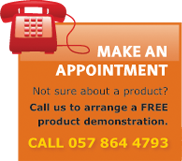 The RA support runs smoothly over uneven ground and it is tested and approved for use both indoors and outdoors.